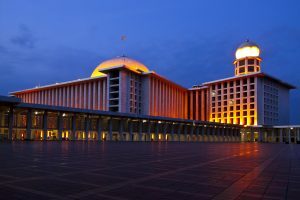 As the capital city of Indonesia, Jakarta becomes a center of governmental, business, educational to industrial activities. That is why people from all regions of Indonesia come to Jakarta and stay there for beginning to improving career, doing business, working to any factories or offices and even studying at universities. Jakarta soon becomes a multicultural city in which people from any tribe or region are easily found. This makes it interesting at one hand but also frustrating in another one. The problem of crowd, traffic jam, criminality as well natural disaster such as flood are the common problem that Jakarta people deal with. Therefore, they would be likely interested in having some quality time with family for recharging and refreshing the mind as well as spending weekend or holidays. Particularly, having holiday for Jakarta people plays an important role because at the weekdays, most of them are busy in doing their business or fulfilling the must-to-do from going to school, workplace, universities or working and making money. This still excludes the traffic jam they can’t avoid in going to and going back from the workplace or school. Tourism and entertainment industry, therefore, is so prospective at Jakarta as they are exactly what Jakarta people need. Apart of television, radio, or other sources of entertainment that people can enjoy from home, Jakarta also offers some interesting places to consider to spend the quality time with family or friends. Here are some top Jakarta destination for those who want to escape away awhile from routine activities, make a visit to Jakarta, or simply want to know more and directly about one other side of Jakarta besides its skyscrapers and traffic jam as well as the flood. To ease you reading the contents of list and guide you more simply, those destination will be categorized into, historical destination spot, entertainment destination spot and natural destination spot. One of the best things to do in Jakarta is visiting Monas. 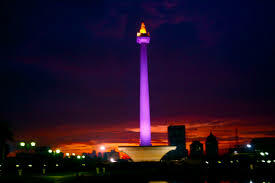 Monas is the most prominent icon of Jakarta. 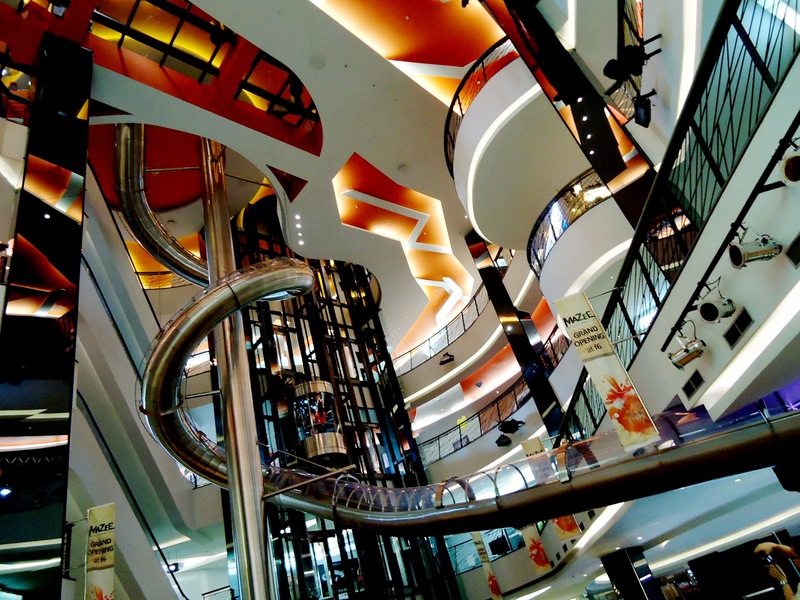 Both Jakarta people and tourists like to visit this spot to do sport, spend quality time or simply buy and eat snacks. It heights 433 feet and was built to remember Indonesian people’s struggle for independence. 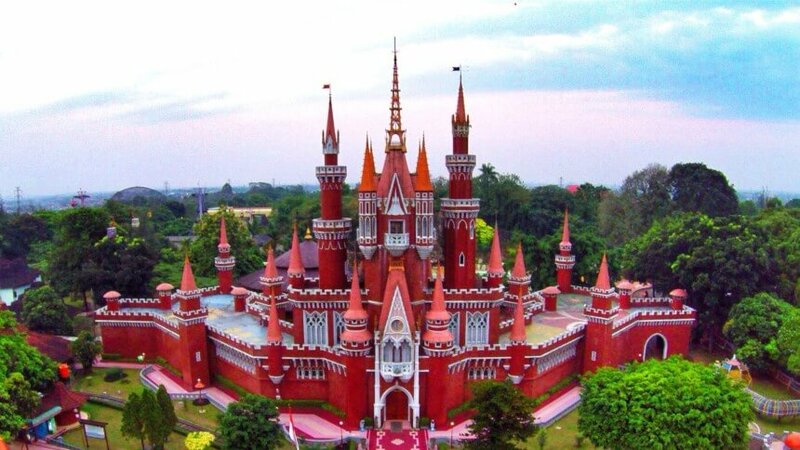 It is located at the center of Merdeka Field, Central Jakarta and open for public from 08.00 to 15.00. Meanwhile, you can walk around the Monas field to enjoy the wind of capital city. Also, there are some museums around Monas that you can check it out to learn about Indonesia history in colonialism era till the country got freedom in 1945. 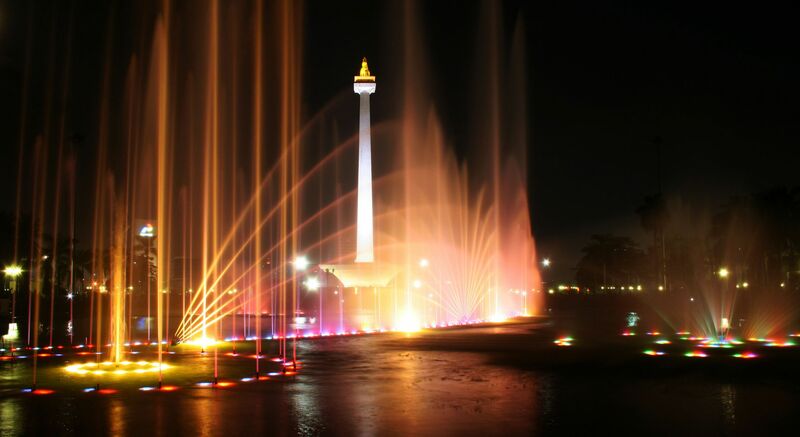 Moreover, you can also enter to the Monas main building, up to the top of Monas to see Jakarta from the height. Well, it is crowd yet beautiful. 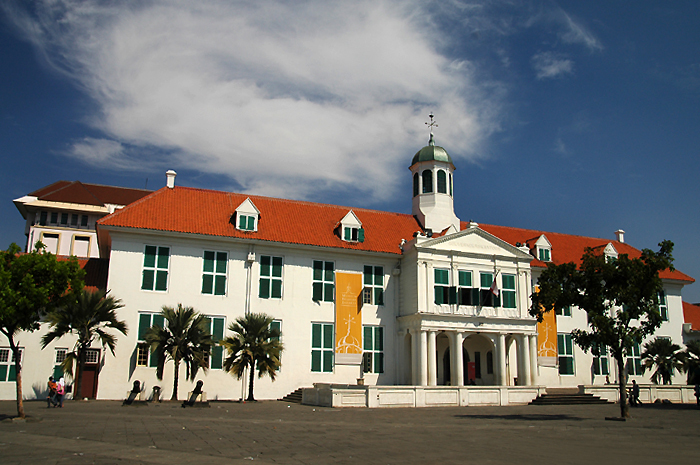 Also well known as Batavia Museum or Jakarta Museum History, it lies at Fatahillah Park, West Jakarta. It was firstly built at 1700s as a city office by the Dutch government. Unsurprisingly, the architecture and interior clearly reflect Dutch and neo-classic touch. Visitors are obliged to wear soft sandals coming to the museum for not erode the old floor and only pay very cheap entrance ticket. Meanwhile, Fatahillah Museum divided into two main floors which are the first floor provides the VOC heritage such as inscription, pottery, rocks found by archaeology, also Betawi’s crafts. Then, the second floor stores Netherlands colonialism gears such as old paintings, big windows, and classic beds. Then, the basement was jails with five small rooms to punish people. 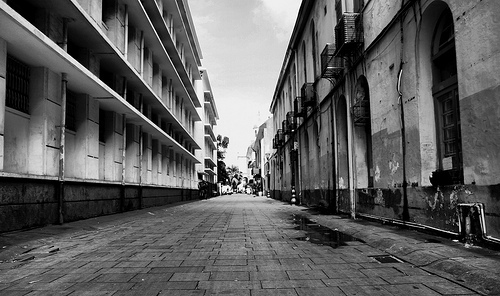 As the name implies, you will find Jakarta in its older version by visiting this spot. It strechs from a part of North Jakarta and another part of West Jakarta. It was then when this spot was popular as The Diamond of Asia or The Queen from the East since it became the trade center of Asia due to its strategic position. Inviting family and friends would be preferable choice as you can take a picture with nice and classic background as wel as enjoy the special panorama there, buy snacks, drinks, Jakarta special culinary etc. Kota Tua has several top spots including Fatahillah Museum, Sunda Kelapa harbor, Indonesian Bank Museum, Ceramic Museum and The Shop of Red. Nowadays, Old City Jakarta is used as people’s gathering basecame, especially for youth and community. Indonesian Moslems or Indonesian people at general would deserve to be proud of this mosque as the biggest mosque at Asia. Built at the era of Soekarno by hiring the prominent architect, Frederich Silaban, this mosque is built on modern architectural design with luxurious materials from marble to stainless steel. 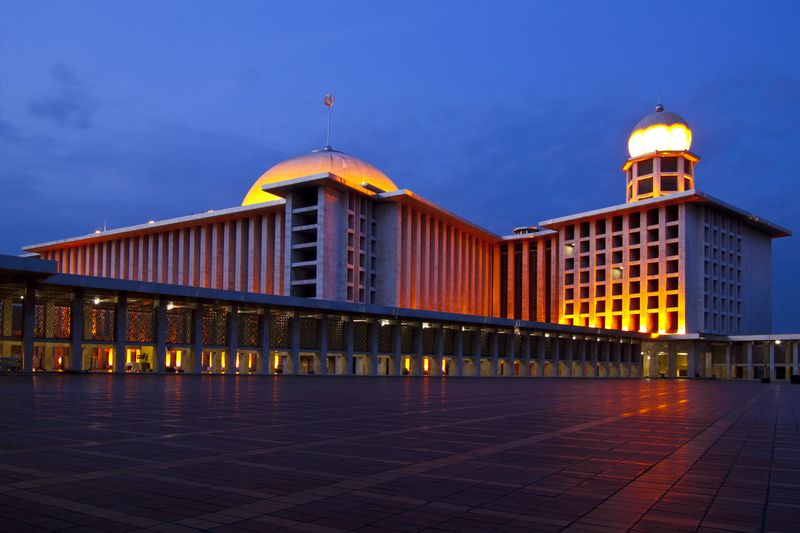 Istiqlal can accommodate more than two hundred thousand people and remain open for public. You can visit this mosque to look at the prestigious building as well as do worships and educate your children. Indeed, Istiqlal Mosque uses by Moslems to pray and where Moslems gathers for big religious events. Thus, Istiglal Mosque is the symbol of Indonesia independence history if we look back to the day it was built 1954. Also, Istiqlal Mosque provides peace, unity, and humanity for all religions to stay hold each other as Indonesian. 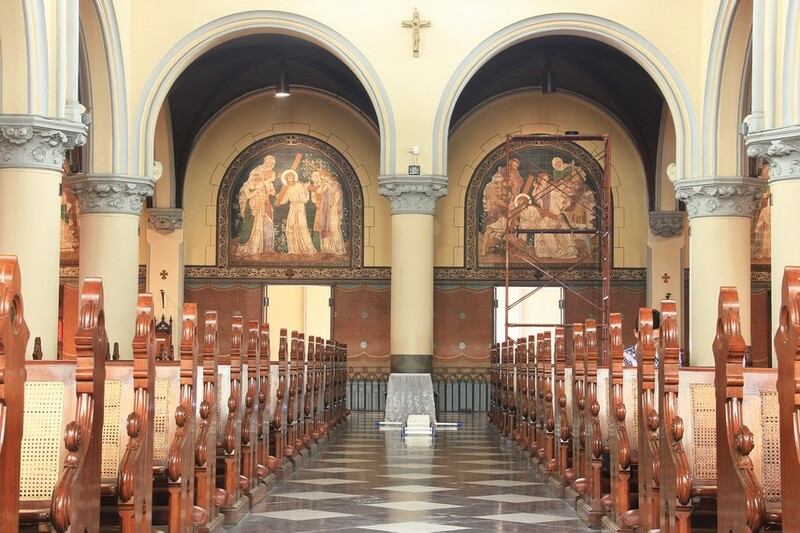 Serving as the oldest Catholic church at Indonesia, this church was from 1901 using neo-gothic architectural touch as what we find at European churches. It becomes more special and historic as it also has a museum containing 400 old goods including the cane of Paus Paulus IV, the cup of Yohanes Paulus II etc. 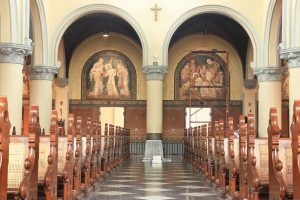 Catholic believers would like to visit this place as a house of worship while other believes would be very enlighted using the European heritage found at with Indonesia. Meanwhile, Cathedral Church is located near by Istiqlal Mosque. By this building stands near each other, it implies the tight tolerance among religions. Thus, it must be the great example of peace. 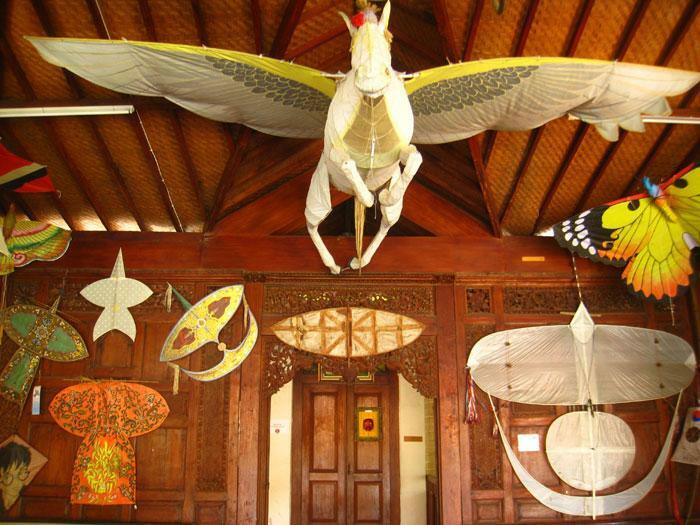 Meanwhile, Kite Museum was built by Ms. Endang Ernawati to explored her hobby in kites. According to Ms. Ernawati, flying kites were so beautiful, so she decided to build a kite gallery. Thus, this is a private museum which offers a unique collection. 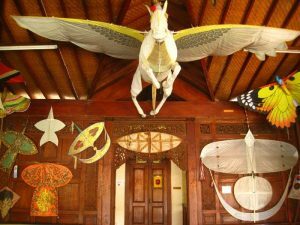 It has collected kites form all parts of Indonesia and put them together in a building called Kite Museum or Museum Layangan. The uniqueness is also found at the rule for visitors where they are not allowed to capture a kite displayed inside. However, this place is still interesting for kite lovers or those who have high curiosity on unique and different things. Indeed, kite is our childhood games that has been so fun. By Kite Museum, we can learn all types of Indonesia traditional kites and also modern kites from aroun the world. Also, we can learn how to make kites, paint kites, watch videos about kites in old days, and another addition spots such as paint ceramics, umbrella, shirt, and mini puppet. So, Jakarta Kite Museum is great choice to visit. Meanwhile, Setu Babakan is artificial lake that the functionwater reservoirs uptake. However, nowadays Setu Babakan becomes tourist spot, as It is commonly assumed that Jakarta has lost its original ‘taste’ as it becomes industrialized and accepts so many new things whether from other parts of Indonesia or other parts of the world including culture, culinary, life style, architectural building and so on and so forth. However, you do not need to worry because if you want to see Jakarta in its older version, besides visiting Kota Tua, you can visit Setu Babakan which offers more living old Jakarta. It is a housing area where local people still live traditionally using Betawi culture and values. You will know how Jakarta people plant trees, make handicraft, do the trade and cook the food all in traditional ways. 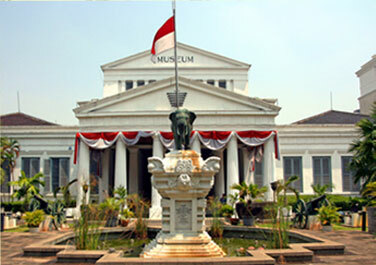 Meanwhile, National Archive Museum is one more historical building in Jakarta. As the name implies, this museum is a center of original national archives so it would be a very interesting spot for historians or those who like to study Indonesian history. 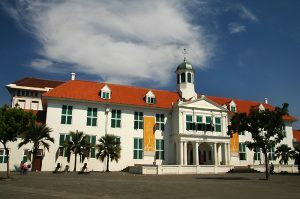 The building of this museum is as old as the archive contained inside, because it was the house of General Governor of VOC before it turned into national property. If you want to visit this place and witness the old archives influencing much on Indonesia today, you can find it at Jl. Gajah Mada 111, West Jakara. Thus, it has vintage architecture that is so beautiful. It can turn you back to colonialism era a thousand years ago. In 2001, UNESCO gave National Archieve Museum an award for Award of Excellence. So, this museum is a great option to visit, to learn history and have fun. Well, this is a China Town in Jakarta. Chinese have been living at almost all parts of Indonesia, including Jakarta. 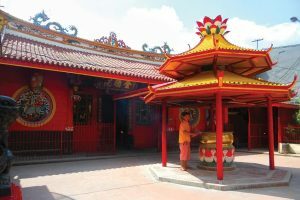 Although Chinese at Jakarta perhaps live at the different and diverse areas, Jakarta has Glodok which is labelled as the biggest center if Indonesia Chinese. Visiting this place would enhance your knowledge about Chinese culture and ‘treasures’ from the past to the present. You can also go shopping at some traditional Chinese-nuanced store, taste Chinese culinary and visit Chinese houses of worship. Meanwhile, it has a vintage scenes from its building, ornament, and architecture. Thus, it is a great photography spot to capture both classic area and all Chinese gears. There are many stands that you can visit to buy souvenir such as secondhand books stand, herbal medicine stand, Chinese and Jakarta culinary stand, and more. Located at the downtown of Jakarta, particularly at Jl. 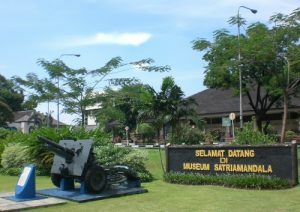 Gatot Subroto, this museum was originally modified from a wife of the first Indonesian president, Mrs. Ratna Sari Dewi Soekarno. The museum contains tools of war from the traditional into the modern one. It also restores goods of National Military Army (TNI) such as soft and hard uniform, military attributes and other military symbols including a stretcher used to take Jenderal Sudirman in his guerrilla fighting period. The student of history department or those who concern with Indonesia history will likely be very enthusiastic to visit this spot. Meanwhile, there is a special room for Big Four Indonesia General who fought for Indonesia independence, they are Oerip Soemoharjo, Sudirman, Abdul Haris Nasution dan H.M. Suharto. That room is placed for their special gears of old photos, furniture, and more historical heritage. Offering the combined concept of education and entertainment, this spot is preferable for your children aging 2-16 year. 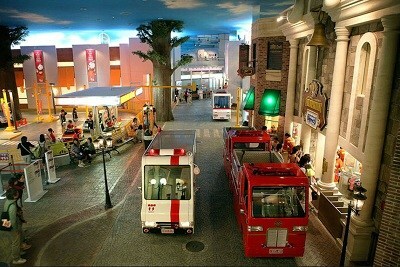 Kidzania will lead and allow them to know parts of city by providing its miniature or replica. The parts of the city include gas station, hospital, restaurant, beauty center, industrial area, vehicles etc. By visiting to this spot, children can know what a restaurant looks like and how to interact with customer service, waitress, how to order a meal etc. This is particularly interesting and beneficial to enhance children’s knowledge as well as get them prepared for the real life they will have soon. Meanwhile, you may invite your little brothers and sisters to this place. However, it can be the fun town for kids to play around. Ragunan is one of top Jakarta tourism destinations for local or regional tourists. Located at Ragunan, South Jakarta, this zoo is 140 hectares at width and has collected about 4000 species. Each animals is well preserved and displayed so that visitors can easily introduce animals to their children in a safe and conducive way. Parents can also invite their children to come this place as it also offers various games and toy vehicles for giving them fun while learning. To ensure your comfort, it is advised to you not to visit this spot at holiday because is is usually full of visitors so you wouldn’t be able to enjoy the time well. Located at East Jakarta, this tourims destination is suitable for those who would like to have quality time while enhancing knowledge about Indonesia and its culture. This spot displays various culture of Indonesia whether it is originally from Indonesia or not. Each province has specific ‘space’ in which the traditional house, clothes, dance, tradition, furniture, art activities and other characteristics are well-exhibited. This also occurs in displaying foreign culture living at Indonesia, such as Chinese culture. Visiting this spot—just by paying reasonable price—therefore, would make visitors like visiting all parts of Indonesia. Moreover, TMII also has various types of attraction such as IMAX Keong Mas Theater, miniature of Indonesia at a small humanly-created lake, Tanah Airku Theater etc. 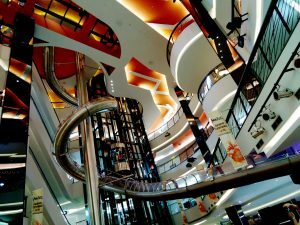 This center of fun and entertainment is at FX Sudirman mall. It offers a game tool called dry slider in which children with minimum height 130 cm can access it and try their bravery. Once they come into the slider or a sort of tunnel, they will automatically pas curving tube in a fast speed. During 6 seconds, they can move from the third floor to the seventh floor. Well, that is about 20 meters height. People visiting the mall would likely try this game as it also ensures safety for the passengers since it is stainless steel made. Well, this slider is only for kids aged at least 12 years old. Meanwhile, it must be a great option to have a holiday in mall with another taste. Thus, what need to warn is before we play on the slider, we must make sure that we are in fit body, no serious disease such as epilepsy and heart disease to stay safe. Yes, this is one of the best places to visit in Jakarta, Indonesia. At general, this spot offers eco-learning and eco-tourism using green lifestyle concept to educate visitors about the urgency of green life and keeping the environment well. Equipped with wide area about 33,6 hectare, it is wished to be a lung of Jakarta in the midst of its crowd and jam. It has three main parts which are eco-energy, eco-care, eco-nature and eco-art. 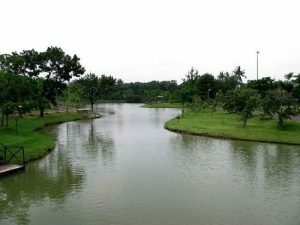 For those who like to go fishing, trying a newest part of Eco-Park would be a great choice. Although this place is popular as the venue of local and international music concerts, it also offers the new program called eco fishing. This is worth to try because you may experience new things combined from modern fishing and eco fishing, a thing you may not find it anywhere else. Moreover, the entrance ticket is relatively affordable. By just paying 25k IDR, you can enjoy the fishing time while getting bonus of bites. This is the next Jakarta tourist attractions. Focusing on water sport, game and fun, Atlantis Water could be your choice when you would like to play with water along quality time you have. Its most featured choice is Crazy Highest Longest Slide in addition to 13 types of game and 8 main pools. Indeed, there are rainbow splash spot, battle pool, kiddy pool, and water outbound. 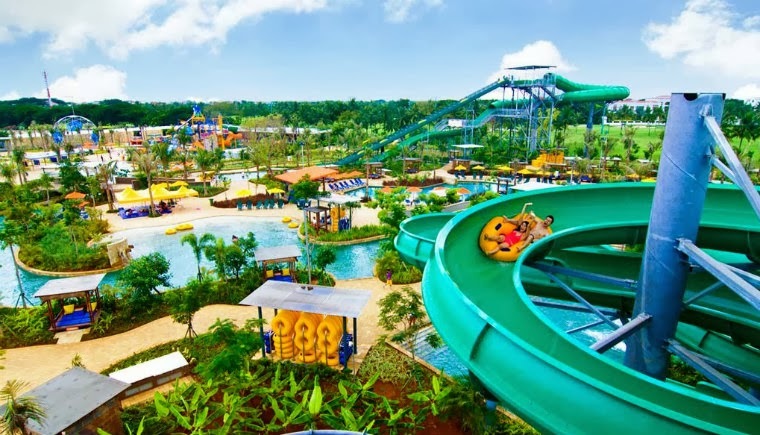 Meanwhile, Atlantis Water Adventure is always the number one option for Jakarta people ti visit. Meanwhile, during the holiday this waterpark is totally crowded. As it is so fun to play in water, swim, and have fun with your family and best friends. Seribu, or a thousand, is labelled to this islands because it has various islands in its group located at Jakarta Bay. It becomes a center of natural tourism at Jakarta as well as conservation area. 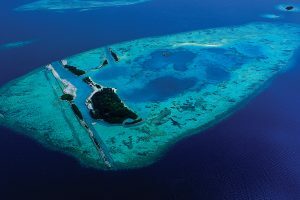 Visiting this islands will require you to spend not less than two or three days because various small islands—some of them are still not inhabited—are very interesting to visit. You can enjoy great panorama to stay at a small island at the middle of the sea and breathe very fresh air. The islands itself has 108.000 hectare at length and offer you various choices from beach to undersea adventure. Thus, it is nice to see there is still natural island in the capital city like Jakarta. 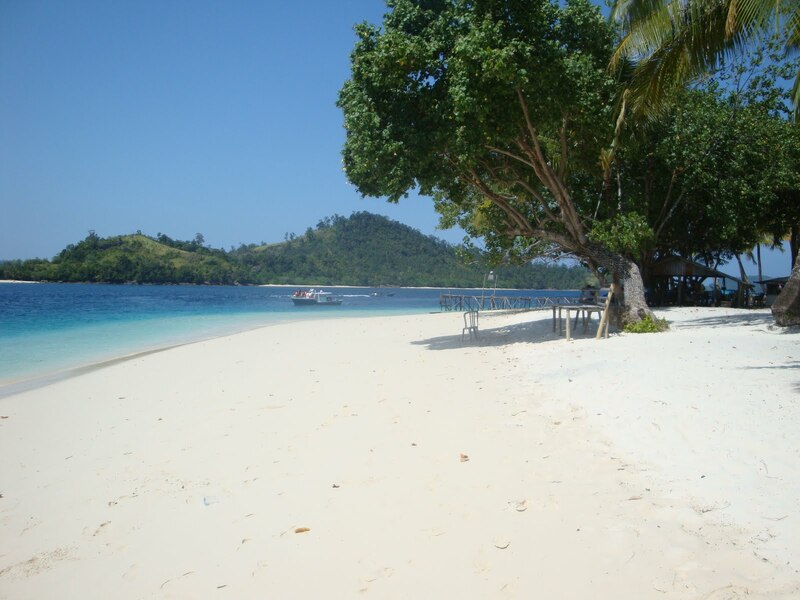 Since Jakarta is a busy and crowd city, this island is always be number one choice to holiday. In order to get relaxation and peace for Jakarta people. Meanwhile, Seribu Islands is so beautiful and lovely. What to do in Jakarta? Ancol is originally taken from name of a beach—and area as well—at the North Jakarta. The beach is well managed and continuously improved so that visitors can not only enjoy the beach panorama and its fresh air, but also experience some water games. 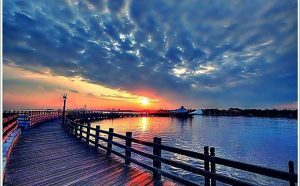 Surrounded by high palm trees, Ancol offers fresh air which is totally different from the whether of Jakarta at general. Ancol also has a small lake called Dream Lake, Danau Impian, stretching across 5 km length. Unsurprisingly, visitors from Jakarta still like to come to this place because it can make them escape for awhile. The developers of Ancol does not only ‘use’ the beach to attract visitors. They also provide a center of game and entertainment around Ancol called Dunia Fantasi (Fantasy world) which is usually shortened into Dufan. 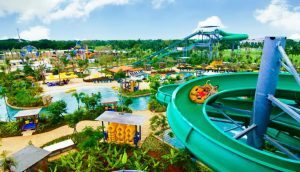 Children and adult would like to play games inside the Dufan as well as try various big high-tech vehicles such as roller coaster, Kora-kora, Bianglala and the likes. Those games can not only entertain people, but also escalate the adrenaline and give bug fun. 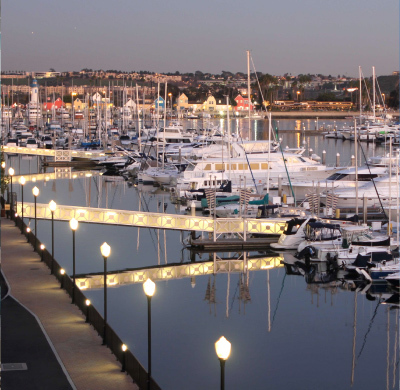 Specially designed for cruisers, Marina Harbor could also be your favorite destination to spend and create the quality time. You can see various big and luxurious cruisers while enjoying the wind blowing and activities there. In addition, you can also do some sea sports as it also serves as a center for sea sport such as wind surfing, water skiing and sailing. If you would like to visit Seribu Islands, you will likely go to this harbor as well. Well, you can rent boats in Marina Harbor, likewise, fishing boats, speedboats, and cruise ship with different prices, facilities, and schedules. Meanwhile, people likely to rent speedboat to reach Seribu Island. So, it will be a great holiday to trip to sail on the sea nearby city. The view is also beautiful and warm. Moreover, Marina Harbor is the main water tour in Jakarta. You can also do water activities such as jet sky, wind surfing, and diving. As a result, do not forget about seafood corner where you can sail and eat seafood at the same beautiful day. 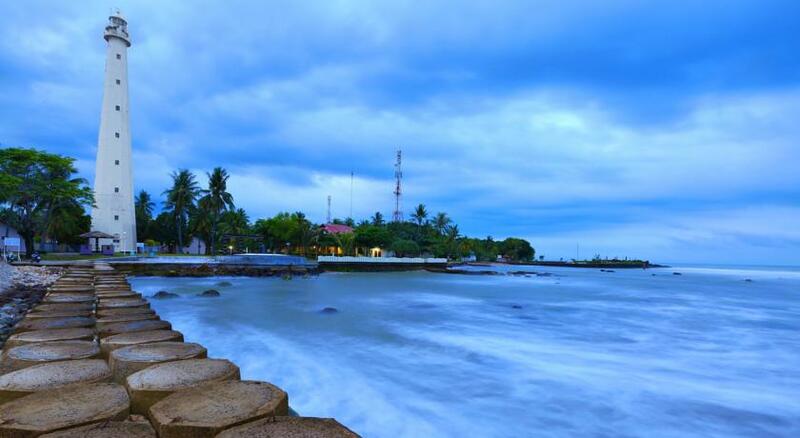 Anyer Beach is located 30 km at the west of Jakarta, particularly at Serang, Banten. The beach becomes a favorite spot for tourists due to its beautiful view and complete facilities. Hotels, restaurants and other public places are also found so that visitors would be able to fulfull their need easily in their visit to Anyer. From Anyer, you can see and enjoy at least two beautiful views, which are an old lighthouse built by Dutch government and Rakata mountain, submountain of Karakatau. It is the reason why visitors like to come to Anyer more and more without feeling bored. Meanwhile, Anyer is always the most favorite beach to visit. Jakarta people love it as there is so rare to find beaches nearby city. Indeed, this is one of the best things to do in Jakarta. The most favorite feature of this beach is its white sand which is relatively hardly found at other beaches, the best Jakarta attractions. 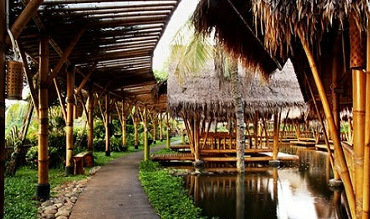 Carita is located at Banten, particularly at Pandeglang, and offers a great place to escape from the crowd of Jakarta. You can stay at night in your visit to this beach because some hotels and resorts are available. Entertainment center is also easily found so do not hesitate to visit the place. Well, Carita beach is likely a small paradise in the edge of the town. People love its natural scene such as white sand, coconut tree, the winds, the blue water, and sunset and sunrise moment from this beach. Indeed, you can also see some local animals from this regions such as lizard, python, falcons, and eagles. Also, the ticket is cheap and it’s located near Jakarta. So, people would love to visit Carita beach during the holidays. Not quite far from Jakarta, you can visit Arwana Lake at Cibubur and enjoy its recreational and educational offers. Inviting your children and family, therefore, would be a good choice as you will find swimming pool, fishing area, ceramic house, flying fox game, floating doughnut and so on and so forth. They can have much fun while learning new things at some spots that Arwana Lake provides. Thus, there are many seafood restaurant that you can taste. 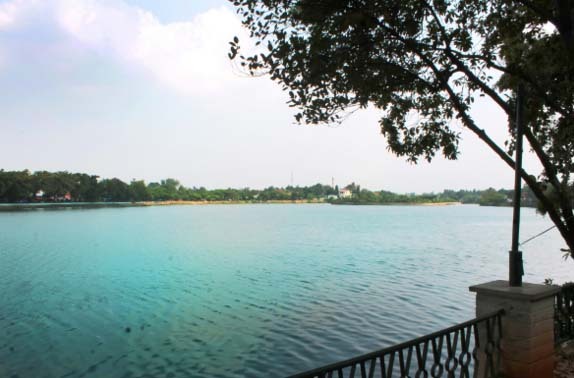 As a result, Arwana Lake is the best escape if you are in Jakarta. You can visit the lake with your family, best friends, or anyone to have fun with. Well, that’s all the best places to visit in Jakarta, Indonesia. Indeed, Jakarta is a beautiful big city with its business and charm that you may love to come in.